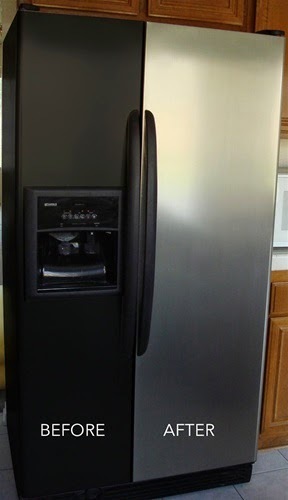 Do you want to renew your refrigerator, I think if you discover a new material as like as stainless steel contact paper, you will be so interesting and want to apply to your refrigerator as soon as possible. So I saw this on Pinterest and thought I'd give you my two cents about it. It's sticky back stainless steel faux film. I bought a couple rolls of this stuff back in 2006 to cover old metal cabinets. In the end, it wasn't a great deal and I had multiple issues. In its defense, if done right, it will look like real stainless steel. There is a sweet spot to this product but I think most people would find themselves disappointed.